Learn various search engine optimization techniques. Would you like to get more traffic and exposure for your business online? Understanding how marketing works can improve your sales remarkably. After all, you might have the best product or service in the world, but people need to know about it. SEO stands for Search Engine Optimization and could very well be what you are looking for. However, you probably know that already. But how does SEO work and what are the best Search Engine Optimization techniques? This course will answer your questions in under one hour! With practical examples, your instructor will explain how you can out-smart your competitors and rank your website higher fast. You’ll find out about many advanced Search Engine Optimization techniques that are unique and can put you ahead of the game. Right after finishing this course, you’ll be able to implement them and see which one works best for you. This way you’ll draw more attention and as a result, make more money. At that point, you won’t need to ask how does SEO work you’ll be an expert on this topic. By following this Search Engine Optimization course and learn how to target specific searches and keywords on Google to rank your business listing in the top 10 results. Google, being one of the most popular search engines in the World, is a great way to increase traffic to your website. But people usually only view the top 10 results, so it’s your job to do everything you can to rank high. To succeed in this mission, you need to understand how does SEO work and how to be smart about it. SEO stands for Search Engine Optimization and is one of the most effective online marketing techniques. I understand that you’re happy to try out many brilliant strategies instantly but first, you should take a closer look at the fundamental principles of search engines in general. How does Google search work? That’s the question you should be asking first. Google ranks pages automatically. Therefore, there are techniques you can utilize to make the process of indexing your page more accessible. This course goes over all of the necessary information and steps you need to take to make sure your content gets recognized by search engines and promoted as high-value material. This tutorial is very well structured and easy to follow. All of the course is split into separate short and fun video lessons. That way the information is easy to follow, so you’ll have no problems understanding all the principles explained. The tutorial starts with the necessary fundamentals. How does SEO work and how does Google search work? These questions will be answered in the first few minutes. Then you’ll move on to practical tips. You will learn how to rank your page in the top 10 Google results using Google maps, Youtube, Amazon, Yelp, Facebook, Twitter and more! Also, you discover how you can get publicity from popular sites. Naturally, if a very popular page would link to your side, you could get extra exposure in no time. This tutorial will explain how you can achieve that step-by-step. SEO Services helped many business owners to earn more money by unveiling some of the top marketing secrets. He has worked in SEO for over 10 years. Therefore, he knows which techniques work the best. Now, you can find out about them too! With the advanced SEO strategies in this course, you can promote a wide variety of businesses. So, don’t waste any more time. 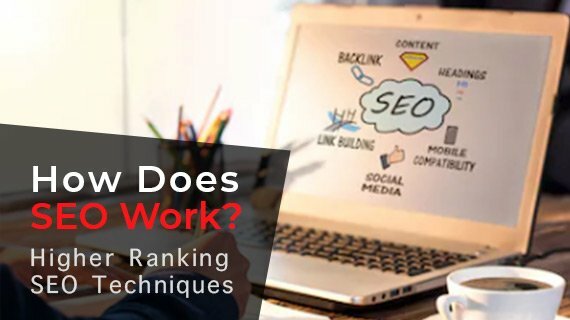 Learn how does SEO work and which techniques are the most effective. Enroll now!